Treasure baskets are perfect for babies and toddlers. 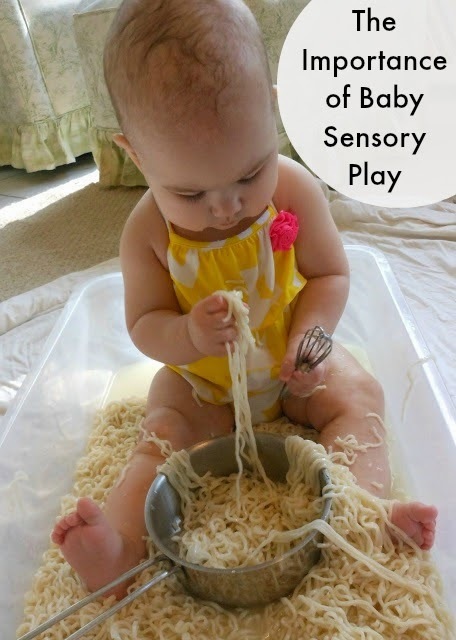 It is a wonderful way for babies to use their senses while exploring safe items. This week we centered our treasure baskets around color. I made three baskets using different textured items and an array of exciting items to enjoy. Treasure baskets are a great way for babies to play and explore at this age. The yellow basket had a sweet baby Gund giraffe, a sensory ball, an Easter egg, a stacking cup, a couple of linking rings, a doll, and a silk Bunnies by the Bay blanket. The blue basket had a Care bear, a cookie monster finger puppet, wooden blocks, stacking cups, rings, an egg shaker, a shaker ball, a ribbon, a book, and a soft handmade blanket. This is so much fun! I think I like treasure baskets just as much as Bells. She has found a tag, one of her favorite things. The red basket had the Love Bugs book, a rose, an apple puppet, wooden blocks, linking rings, stacking cups, a checked cloth, and Elmo. Bells enjoys exploring all of the different textures in the basket. She already loves getting roses. Babies can start exploring treasure baskets as young as 3 months old and as your child grows they will become more and more engaged with the items. Make sure to switch your items out regularly and introduce new textures and sounds in your baskets. 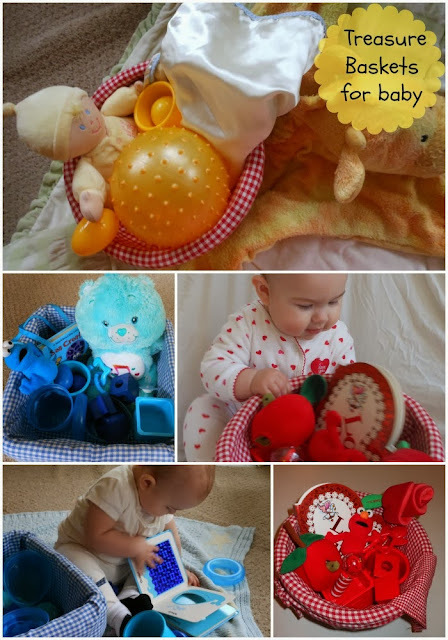 Baby Bell has had so much fun exploring her color treasure baskets. Treasure baskets are a wonderful way for babies to explore and use their senses. Don’t you agree? 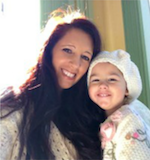 Do you make up treasure baskets for your baby or toddler? I would love to hear about them. Leave me a comment or share a picture on Facebook. I absolutely love this idea! I am having baby number 5 in a couple of months and we might be able to do something like this. Thanks for sharing! I’m so glad you like it! Congrats on baby 5! 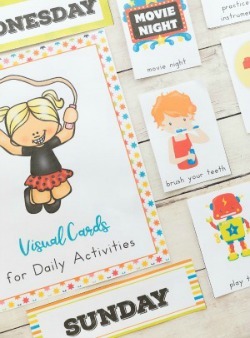 Love, Love, this Idea will use for my Home Daycare! Love that photo with the tag investigation. Babies always go for the tags. So cute.